I finally got the chance to watch “DIRT! 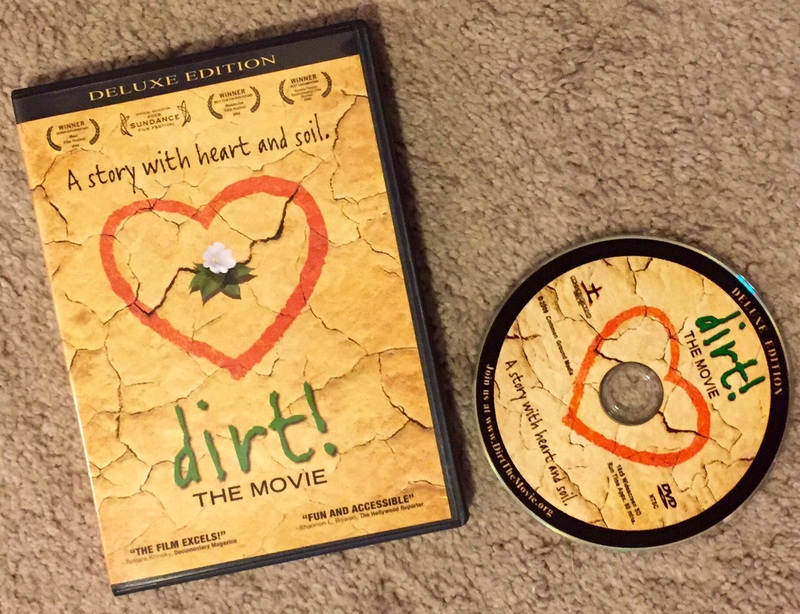 The Movie,” the DVD I won in a recent (well, kind of) giveaway by DirtNKids blogger and fellow gardener Shannon. Dirt is a really strong, living word. It’s about relationships. So true. Just like my significant other (i.e. husband), some days dirt makes me happy, some days it makes me smile, some days it upsets me. But it’s always there for me, through rain, heat and cold, weeds and pests. You get a dirt high … (when) you get your hands dirty. Like I’ve said before, dirt therapy is the best. For body and soul. If you get a chance to watch the movie, I highly recommend it. (Thanks Shannon!) I’m going to try to practice the movie’s message and do the best I can to protect and nurture the soil. Because I am dirt and dirt is me. This entry was posted in Gardening and tagged dirt, soil, therapy on April 29, 2015 by Julie Riebe. Yay! I was about to check to see if you’d received your copy yet (everyone else had). It is a powerful documentary and so encompasses what I’m about over here. I’d like to think that the reason I have so few failures in the veggie garden is because I put so much into nurturing the soil under their root-y little feet.